← Do you have your tickets to Kiki DC? 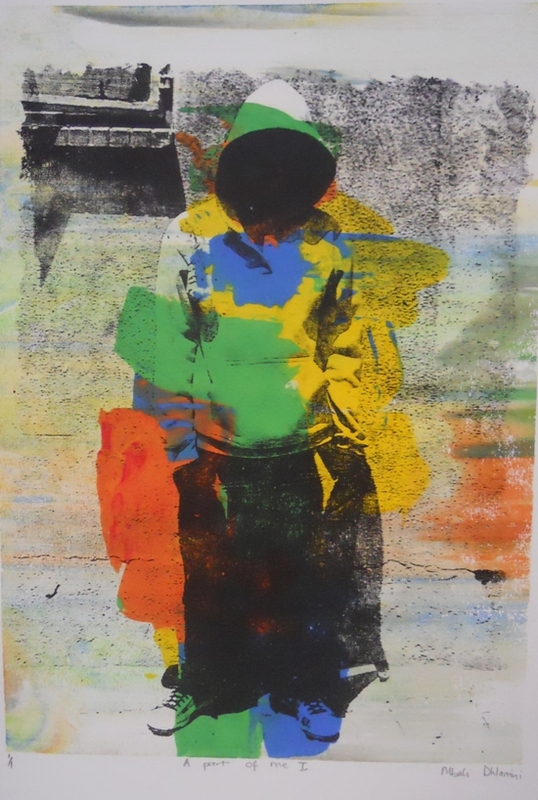 We’re super excited to announce a partnership with Vula Amehlo Art Development in Johannesburg, which will bring the art of emerging South African Printmakers to WPG in January 0f 2014, making it our third international exhibition in four years. “Vula Amehlo” means “open your eyes” in Zulu and other South African indigenous languages, and focuses on promoting the careers of emerging artists through curating exhibitions in both traditional gallery spaces and in other environments, and marketing their work in South Africa and elsewhere. Their latest exhibition, Afrika Rea Bolela (Afrika Let’s Talk): ARTiculating the Constitution, just wrapped up at the end of last month. It presented the work of 20 South African artists from the Bataki Kollective, with the aim of stimulating discussion among the artists and between the artists and the viewers regarding how their art can reflect on the values that are embodied in the South African Constitution, especially the Bill of Rights and in the mission of Constitution Hill (where the exhibition was presented). We’re still not sure exactly which artists will be participating, so the images included with this post are just a taste of some of the wonderful emerging talent in and around Johannesburg. We hope we’ve whetted your appetite for more-so stay tuned as this project and exhibition are further developed! This entry was posted in Exhibition, Gallery news, Printmaking and tagged emerging artists, international exhibition, January Invitational, South Africa, WPG. Bookmark the permalink. Reblogged this on gravura brasileira.